Run! Run! Run endlessly for your freedom! 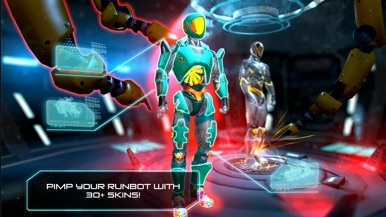 Guide a robot on the lamb away from his killing protocol and towards sweet, sweet liberty in Marvelous Games' RunBot. 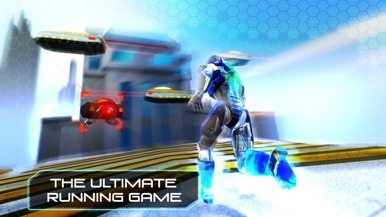 It's an endless runner with combo tap and tilt controls. When running, swipes will help you dodge obstacles and collect batteries to keep you going smoothly, and taps will destroy laser baddies who would see you short circuit. Get far enough along the track and you'll start to fly, switching you into tilt mode to avoid beams and make it through tunnels safely. 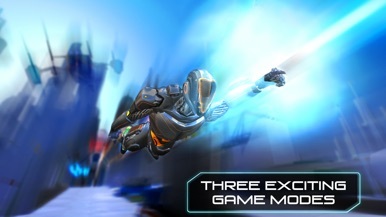 It's totally free to play, and most upgrades can be earned through repeated gameplay rather than in-app purchase. The graphic and sound design are both well above average, and the controls run super smoothly, just what you'd want in an ideal game of this kind. It's not adding anything particularly new to the genre, but it's very well executed. 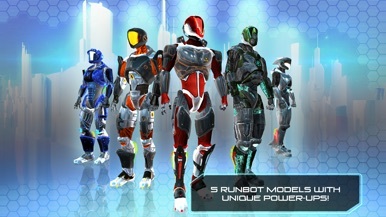 Marvelous Games' RunBot is a solid endless runner with a robotic flair. 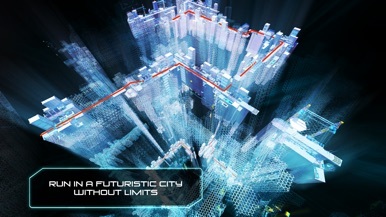 Save the future world in this fun and addictive robot racing game! Tap to jump, slide and dodge obstacles. Test your reflexes and see how far you can go. Share your score with friends. Try it out today for FREE!